Cars and mobile phones are a disastrous combination and have only become more so as smartphones become the dominant form factor. While it’s pretty obvious that staring at a screen is going hamper your ability to drive properly, the stats show just how few people have twigged onto exactly how dangerous texting and driving is. There have been a few efforts to reduce this kind of distraction, the latest of which comes from a New York-based company called messageLoud. The app, which is about to launch on Android (an iOS version is planned for 2016), allows you to toggle between driving, active, and work modes. When in driving mode, the app accesses your text messages and emails, among other things. When a new message comes through, the app will read it out loud to you. You can then dismiss the message, or call the sender back, using simple gestures. It’s actually interesting to see that independent players still feel like there’s a niche for them in this kind of space, especially given how much effort many smartphone manufacturers have put into their own vehicle safety offerings. 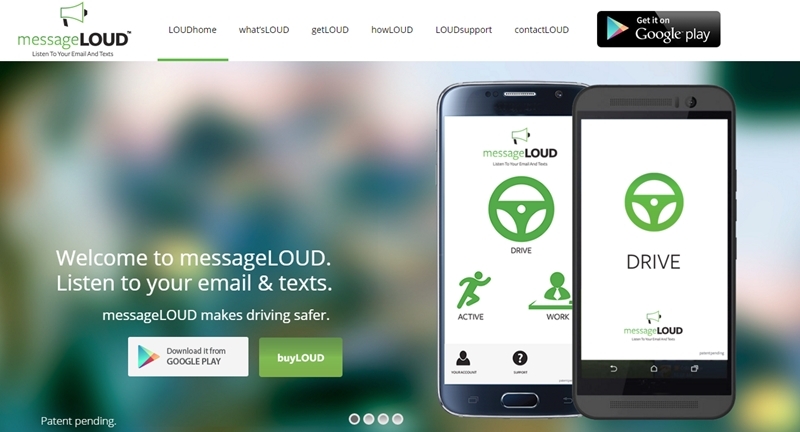 After a 30 day free trial, messageLoud costs US$19.99 a year to use.